If you are looking to makeover your house and jazz it up in a cost-effective manner, one of the easiest options would be to introduce mural wallpaper. Instead of having the same pattern repeated over and over, mural wallpaper has one continuous image stretched over the entire length and breadth of the wallpaper. It creates a striking and enigmatic image and evokes a classic element in your house. But the problem is often the murals are not of great quality, or they might not be installed properly. In case the quality is bad then the mural also runs the risk of becoming dull after a while. In case you are debating about which mural wallpaper installation company to engage, look no further. Simply give us a call. There are many reasons why you can profit from an association with us. 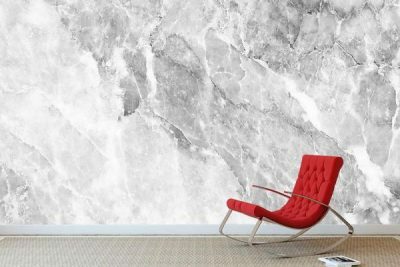 We are not just amongst the top wallpaper company across Malaysia but also have an active presence in Kuala Lumpur, Penang, Ipoh and Johor as a result of our huge success in mural wallpaper installation. 1) Experience Matters: Whether you are looking at a mural wallpaper installation in a huge office lobby or in your living room, we have mastered the art of efficient installation. Our designers and craftsmen make sure that every measurement is as accurate as possible so that the final installation is smooth and without creases. 2) Customized Themes: Not just that, our experienced designers have also made it possible to customize every theme as per the needs and demands our clients specify. This means that every work is unique and each client gets a solution as per their requirements and necessities. Clients no longer have to depend on ready-made templates, and they can easily look at innovative and unique concepts each time. 3) Latest Trends: Our designers are constantly undertaking research and developing themes and concepts that are in sync with latest global syncs. When you associate with us, style and trends is something that you would not need to worry about. We settle for only the most stylish and trendy options available. 4) Efficient Installation: In the case of any wallpaper installation, whether it is plain, 3D wallpaper or mural wallpaper, the final finish and smoothness in its installation are what decide on the actual impact. Our craftsmen take special care for this. Apart from that we also use the latest state of art technology to create a lasting impact and magical finish. So if you want a mural wallpaper installation, give us a call today. You could also email us your specific query. We make your satisfaction our biggest priority and take up every theme with the same level of commitment and passion. Once you hand over a project to us, you do not have to worry about the execution aspect anymore. Our designers pay attention to every small detail to guarantee your happiness and contentment. Call us now for more information.